Congratulations on making it to your second trimester of pregnancy! And we’re not referring to your busy schedules, but rather to how you’re a fraction of the way through your pregnancy! At this stage, you now have inside you a fetus with fingerprints and even vocal chords. Your baby in your 13th week of pregnancy is as big as a lemon and is growing at a rapid pace. One thing that you’re bound to notice in week 13 of your pregnancy is that your symptoms are going to change a bit. Your nausea may have calmed down, and you may not feel the need to take a nap as often as you did in your week 6 or week 10. Rather than feeling tired as you did in your previous weeks, you may actually feel an increase in energy. This is probably the best time to check off a few to-dos on your list, things that you weren’t able to complete before due to lack of energy such as exercise. This is generally caused by a surge in blood flow, and is nothing to worry about. You may feel like rolling in the hay more often, so go for it. This may however result in some post-coital spotting, which is caused by your sensitive cervix and is completely normal. However, if you do experience heavy bleeding, contact your doctor immediately. Women who are pregnant with twins may still experience tiredness and nausea, but on a brighter note this will level out in the upcoming weeks. Speak to your OB if these symptoms get too severe such as you’re not able to hold down fluids or feeling ill for longer periods. Your uterus in week 13 is a lot bigger, so much so that it’s probably bulging out of your pelvis. This makes you actually look pregnant—the moment you’ve been waiting for! If you’re BMI is under 18.5 meaning you’re underweight, you should gain between 28 to 40 pounds all through your pregnancy. Aim to gain 1-1.3lbs per week in your second and third trimesters. For women of average weight i.e. BMI between 18.5 and to 24.9, the total pregnancy weight gain should be between 25-35lbs, and overweight women with a BMI between 25 and 29.9 are advised a total pregnancy weight gain between 15 to 25lbs. 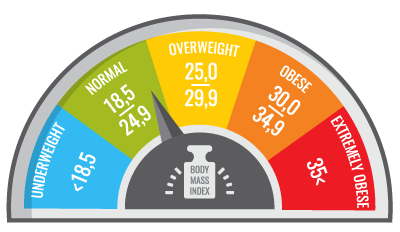 If you have a BMI of 30 and above aka obese, you should try and gain only between 11 and 20lbs, and approximately half a pound per week in your second and third trimesters. For women pregnant with twins, the total pregnancy weight gain should be between 37 to 54lbs. 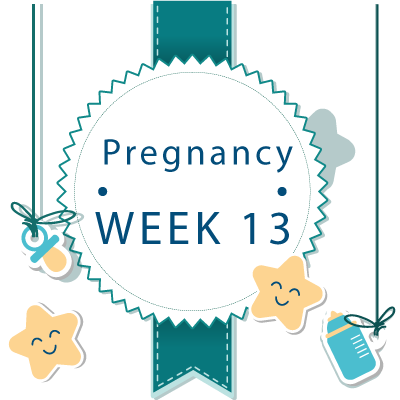 13th Week Pregnant Ultrasound - What to Expect ? 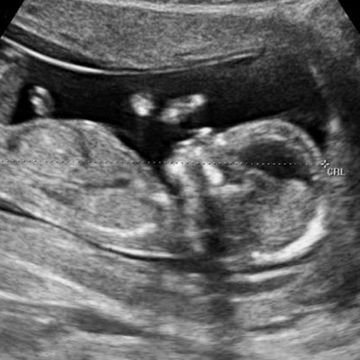 Your 13 week pregnant ultrasound could reveal your baby’s gender, but it may still not be clear whether they have male or female genitalia. Your doctor will probably be able to detect your baby’s gender when you have your mid pregnancy ultrasound somewhere between 18 and 22 weeks. If you’ve opted to have a non-invasive prenatal test (NIPT), the results will let you know whether you’re having a boy or girl when you’re 13 weeks pregnant. Week 13 is an important milestone for your baby-to-be, and in terms of development is no longer considered an embryo but a fetus. This fetus is developing fast, and looking more like a baby each passing day. It is resting well, and has eyelids that although fully formed are fused together, and will be this way for next few weeks. Your baby’s arms and legs are moving and twitching, and you may even be able to feel these sensations. Some baby’s even begin sucking their thumb during the 13th week of pregnancy. 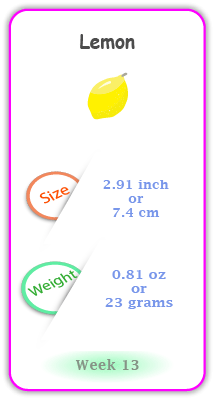 With regards to weight, your baby in your 13th week of pregnancy is the size of a lemon, plum or peach, and measures roughly 2.91 inches and weighs 0.81 ounces. Your baby’s organs and veins in your 13th week are clearly visible through its thin skin, and his or her body is catching up to the size of the head.